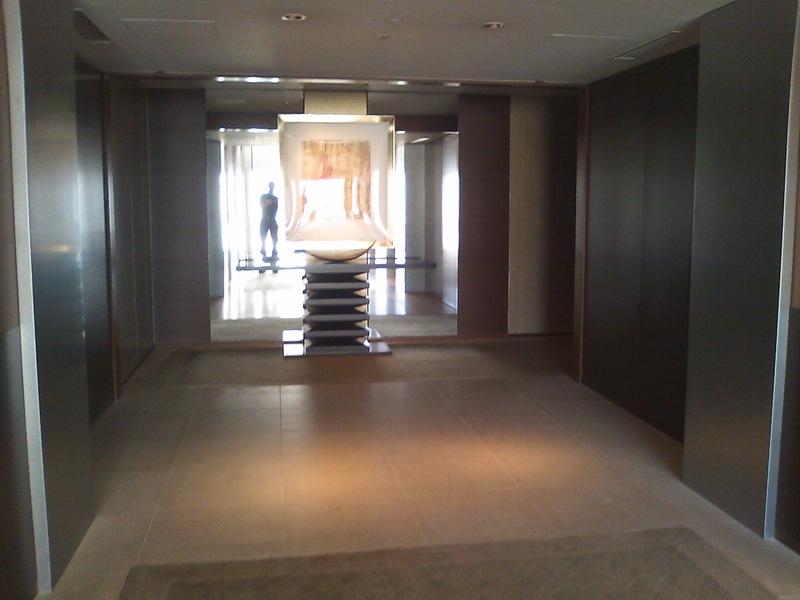 Although the Park Hyatt Tokyo and Hyatt Regency Tokyo seem to receive a bigger share of my focus thus far, the experience that made me most proud and happy to be a Tokyo Hyatt Fan happened at the Grand Hyatt Tokyo. It happened about a year and a half ago during a two night stay. It was the New Years holiday, and I was already feeling proud for booking the stay with a Stay Certificate, the gone-but-fondly-remembered Hyatt gimmick of selling certificates to stay at a certain category of hotel at a flat rate, as it turned out to be nearly half off the going rate for those dates. The experience was enhanced by being a Hyatt Gold Passport Diamond member, which allowed us access to the excellent Grand Club for free breakfast, hors d’oeuvres, and refreshments (definitely a subject of a future blog post in and of itself) A Diamond member is also supposed to get the best available room below suite level, but due to lack of any availability the first night, we had to squeeze into our regularly scheduled Grand Twin room. Which was perfectly fine, as we were just happy to be at such a place as opposed to eating cold Osechi. The next morning, while eating breakfast in the lounge and using the free iPads they have for use, I decided to do a search for availability for the current day. And that’s when my jaw dropped. The room of legend that I had fallen in love with since the first time that I laid eyes on it at Flyertalk: the Deluxe Club Corner Queen. It is a room of great mystery, for although it is advertised on the hotel website, there is only one such room, and it is almost never available, because it is marketed as a connecting room to the Presidential Suite, both of which are the only rooms occupying the 21st floor. It is also the only room not pictured on the hotel website, as the hotel uses an incorrect picture of the inferior Deluxe Club Corner King instead. 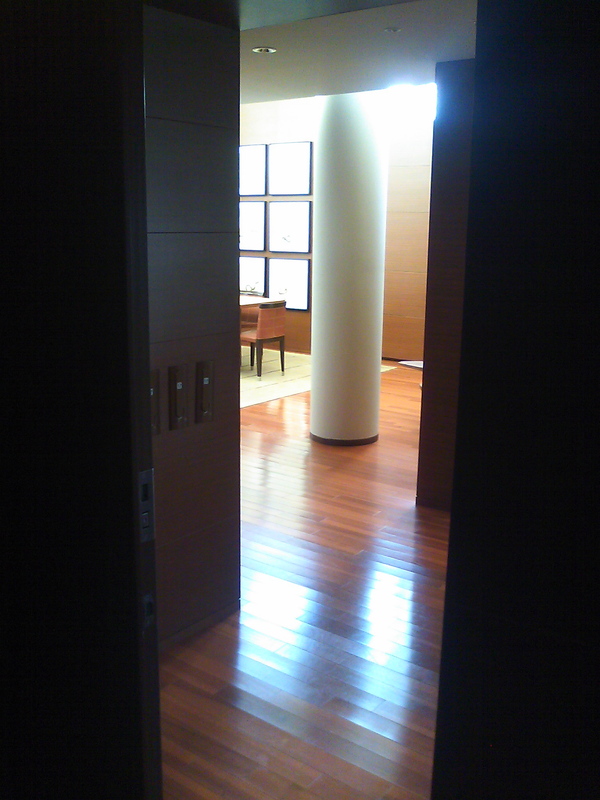 It is a room that mere mortals are not supposed to have. But there it was, beckoning me to come hither. Quickly I grabbed the most competent of the very competent club staff, showed him the availability, and said “That’s mine, dawg!” Okay, what I actually said had a bit more groveling, but I did mention that a Diamond member is guaranteed the best available room, and this was clearly the best available room! He was non-committal, but told me to give him some time. Back in my room 45 minutes later, the staff called me back and said that they would be happy to move us in about 30 minutes! This was it! We haphazardly packed in about 5 minutes, I paced around for what seemed like 11 days until finally the bell rang with the bellman to move us a little bit closer to heaven. Pay no attention to the doofus in the reflection. 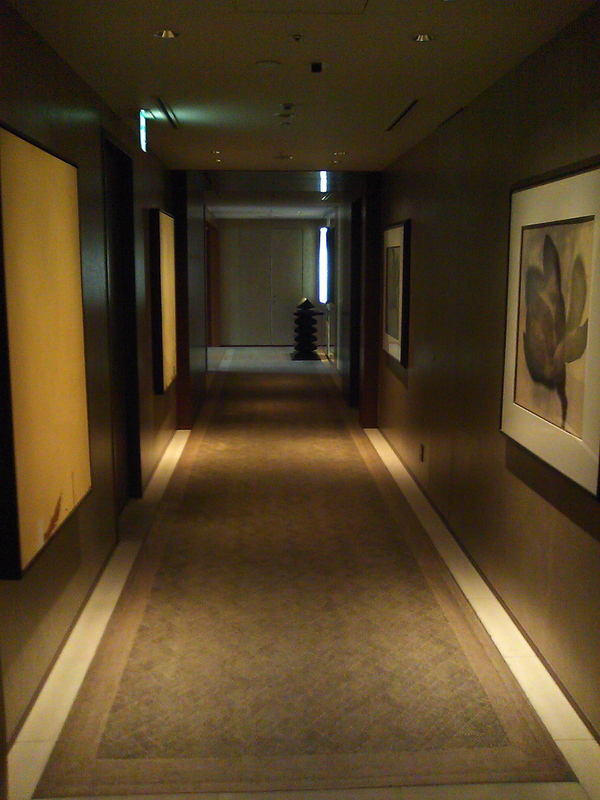 As we made a right and down the hallway, I could see housekeeping cleaning inside of the Presidential Suite on the left. To this day, one of my biggest regrets is not barging into the room and shouting “CAN WE PLEASE HAVE A TOUR! ?”, instead of sneaking around to get a terrible picture that reveals almost nothing. Smooth, Tokyo Hyatt Fan. Real smooth. 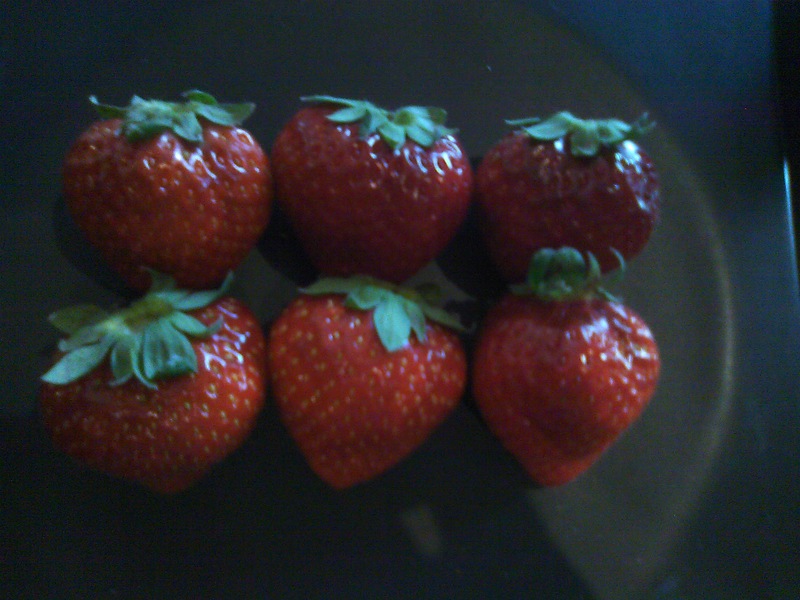 Even though we had already received a Diamond amenity on our previous day, this room also came with six strawberries, apparently a special amenity for this room alone. I’ll spare you the obvious joke about forbidden fruit. As I’ve said before, I don’t like to give away too much of the experience in pictures, as I’d prefer that you enjoyed these things in the flesh. 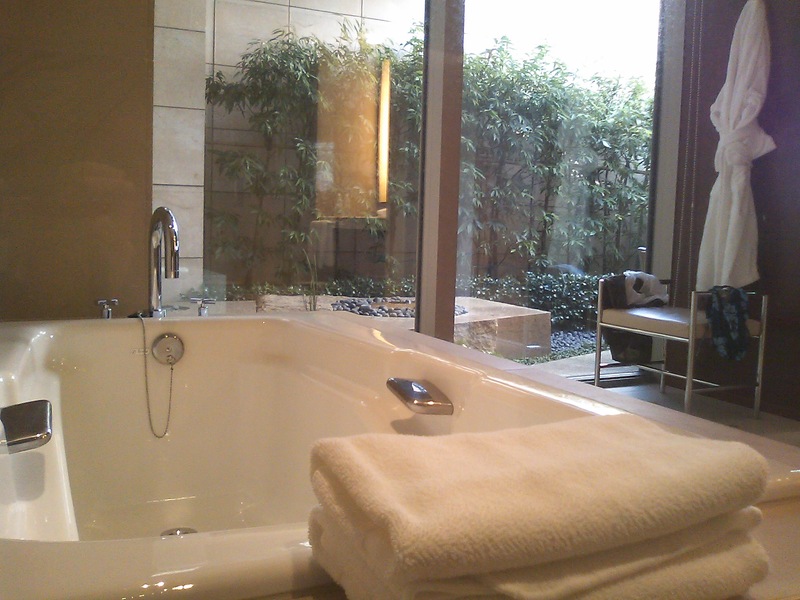 But you may never have the chance to visit this room, and I just cannot resist the opportunity to show off MY PRIVATE ROCK GARDEN IN THE GRAND HYATT TOKYO! 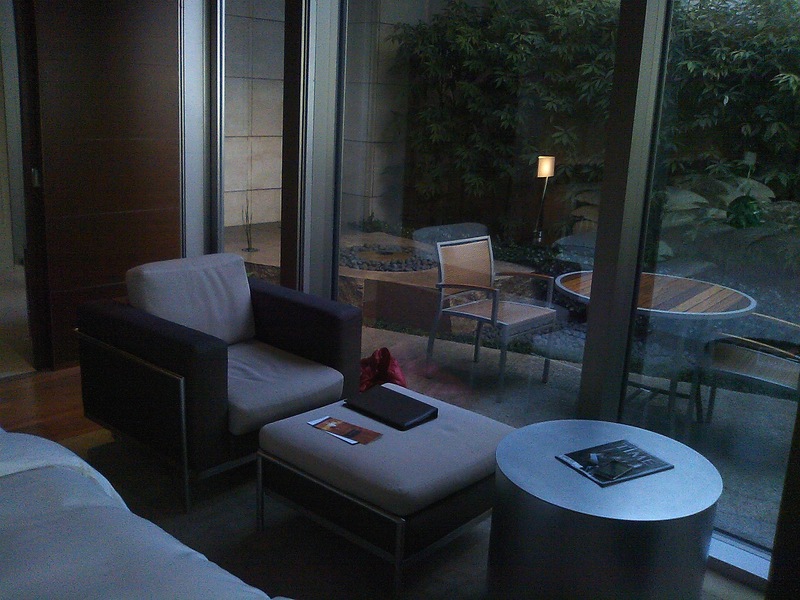 If you could scale that wall, you would be in the Presidential Suite’s private heated pool. It was not much above freezing, but I still spent hours out there! Though I never got a picture of it active, there’s a fountain in the middle of those rocks that goes on and off automagically at certain times in the day. And when I wasn’t standing out there admiring it, I was admiring it from the bath. Now you know where the title picture comes from. And what my swimsuit looks like. 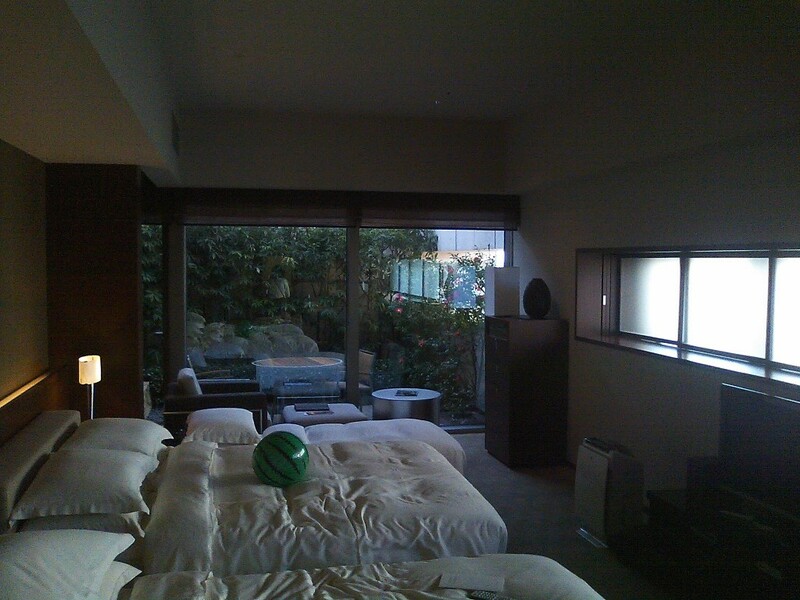 It’s a great room in and of itself, with a nice view of the Tokyo Tower from the odd skinny windows in front of the bed, but it is the private garden that dominates the feel of this room, and gave me the feeling of being an undeserving big shot on top of the world. Melon beach ball not included. But you can get the extra bed if you like. 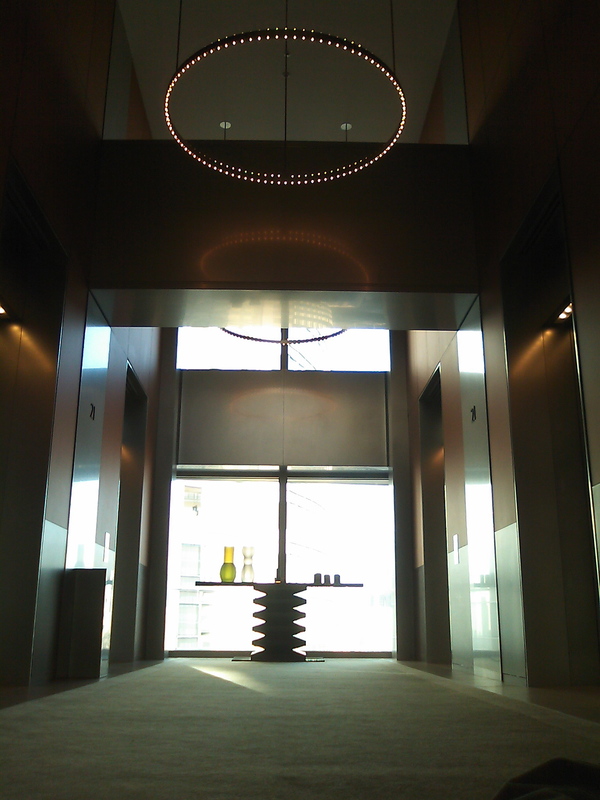 And lest you think the room is too small compared to the suites, as the Presidential Suite remained unoccupied, the entire 21st floor was our own private space. I cannot promise that the melon beach ball did not make an appearance here. It was with a heavy heart, and many fond memories, that we packed up and left the next day. But not before I promised myself that, somehow, some way, I’d find a way to see what was in that other room.